Try transparency: The Bodum Bistro electric 1.1L kettle is perfectly suited to the modern world. It brings class into the grey world of kettles, is environmentally friendly and has style. The double-walled glass keeps the water inside hot while there is no danger of being burnt on the outside. Bodum used heat-resistant and acid-resistant borosilicate glass for the transparent part on the inside, a material which is also used in laboratories. Plastic which makes the electric kettle shock-proof and shatter-proof was used on the outside. 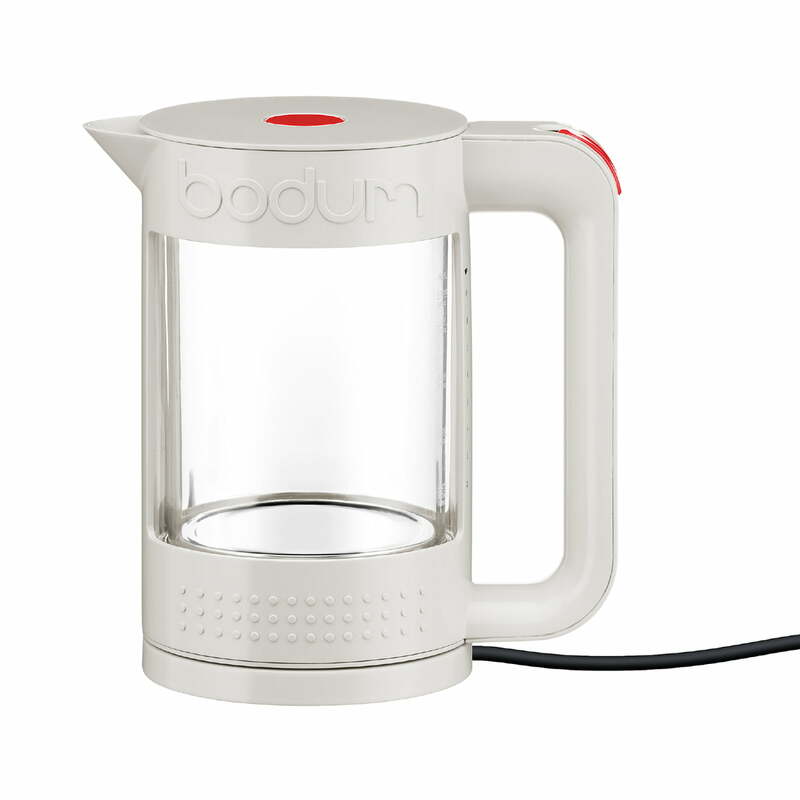 Style, ease and function, the Bodum Bistro electric kettle combines all of this in one device. All features and benefits of the Bistro Electric Kettle by Bodum are shown in English in this product video. The glass body makes the kettle so high-class and modern.